15.04.2011 » Jorge Valdano: "Cristiano Ronaldo is not for sale"
Real Madrid director, Jorge Valdano commented Silvio Berlusconi's statements from a few days ago, regarding AC Milan's intentions to buy Cristiano Ronaldo. Valdano put it clear and simple by saying CR7 is unstransferable. Jorge Valdano felt there was a need to come to public and reafirm Real Madrid's intentions of counting with Cristiano Ronaldo for the years to come. After this week's news reporting AC Milan's interest in transfering CR7 to Italy, Jorge Valdano spoke to the Spanish press "Cadena COPE" and explained that Cristiano Ronaldo is not for sale, whatever the price is. Valdano: "Cristiano Ronaldo is our most valuable asset and we're all very happy with him. He's simply unstransferable", said the Spanish director, clearly answering to Silvio Berlusconi's recent comments. The Italian prime-minister is said to be preparing a major operation that could represent a World breaking record in what concerns football players transfer fees. AC Milan could offer Real Madrid a fee of 100 million euros in order to convince the club and Cristiano Ronaldo to transfer to Milan. Regarding the Clasicos coming up, and more specifically, this Saturday's match for the Spanish League between Real Madrid and Barcelona in the Santiago Bernabéu, Valdano compared the two major stars that will be on the pitch: "Cristiano Ronaldo and Lionel Messi are two exceptional players and usually play a decisive role by having a lot of influence in the teams they play for." However, Valdano is confident that Real Madrid can actually respond better than Barcelona if both the key players can't shine in the Clasicos. 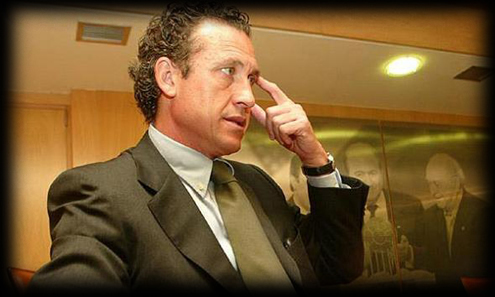 Valdano: "We're going to live some insane 18 days with the four "Clasicos" between Real Madrid and Barcelona. We can't predict how things will turn out to be, but we're used to live with pressure and high standards. However, this time will be special, because we'll play against the same rival every single time. There won't be two similar games. The first game (this Saturday) can have a big psychological impact in the following matches and therefore, we have to play very concentrated. Besides that, the Spanish League Title is still open in my opinion."